AT&T is lauding its cell phone antenna systems, known as nodes. However, homeowners in suburban Hinsdale are not so impressed. Eight such systems have been attached to utility poles in Hinsdale already, with nine having been installed in Naperville since late 2011 and several more being up in Chicago. Eventually around 40 communities from Mokena to Highland Park will have them. AT&T says that the technology is the latest way to offer customers the faster internet service and cell phone coverage they want at a point when data traffic has risen by 8000 percent in the five years since 2007, company spokesperson Jim Kimberly says. 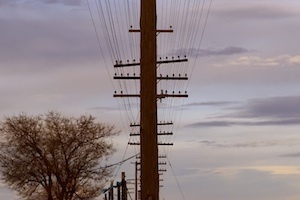 AT&T Mobility consultant Jim Leahy however says that each one of the nodes has the ability to provide the same level of coverage as one third of a traditional 150-foot high cell phone tower. “It’s really the least intrusive method that we’ve come across, and we’re really excited about it,” he notes.